The case was adjourned till June 18. 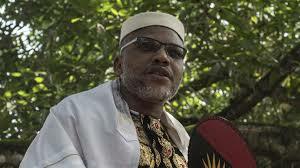 Mr Kanu, a separatist leader calling for an independent Biafran country, jumped bail when he escaped out of the country. And another one? is he in the country? Let them go to Israel and arrest him. Where dem won see am arrest?